Robert Shaw, Roger Staubach, Jerry Jones Sr., Charlotte Jones Anderson, and Stephen Jones gathered to celebrate the kickoff of leasing at The Star's new residential project. The new Cowboys-branded residential tower, Twelve Cowboys Way, is leasing now at The Star in Frisco. Calling all Cowboys, America’s Team just opened up leasing for its 17-story luxury residential tower at its world headquarters in Frisco, The Star. To commemorate and kick off the opening of leasing for the project, Dallas Cowboys legend Roger Staubach joined Jerry Jones Sr. and Charlotte Jones Anderson at the launch. 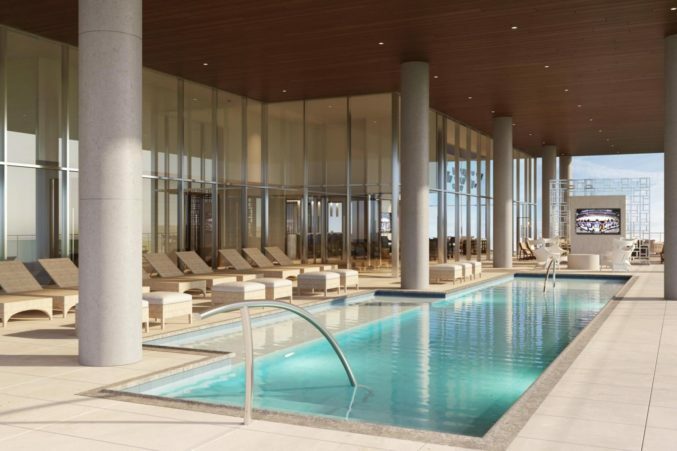 The 415,000-square-foot Twelve Cowboys Way is slated to open to residents in 2020, and all of its 160 units are up for lease now. Rent starts at $2,700 per month. “We want the people living there to be involved in the very fabric of what the Cowboys have been and what they’re going to be in the days ahead beginning with the opening of Twelve,” said Jerry Jones Sr. in a statement. 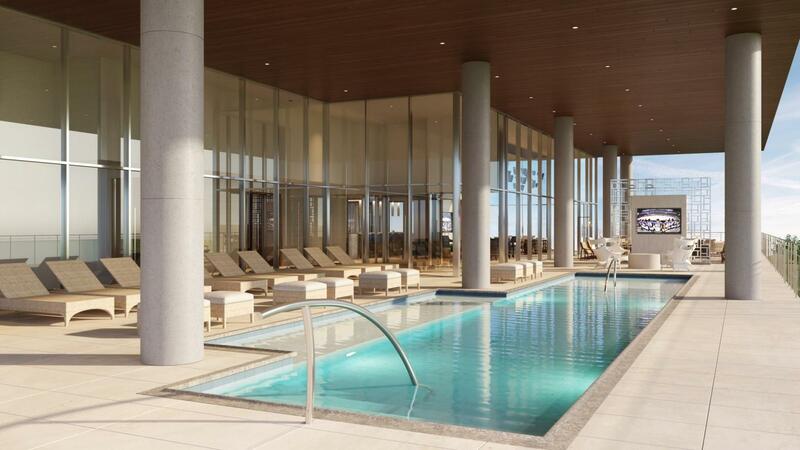 Amenities will include a covered pool, quartz countertops, membership to the Cowboys Clubs and Cowboys Fit, floor-to-ceiling windows, and designated days to watch the Dallas Cowboys practice. Earlier this year, the Joneses launched their own coworking concept at The Star.